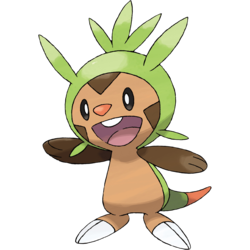 Chespin in game: 4,409 Who? Important notice! 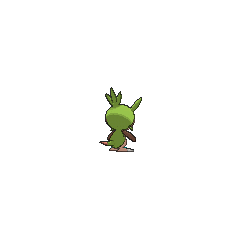 Pokemon Chespin is a fictional character of humans. Chespin (Japanese: ????? 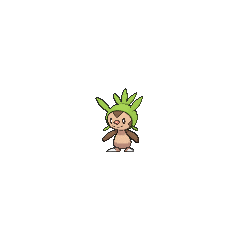 Harimaron) is a Grass-type Pokémon introduced in Generation VI. 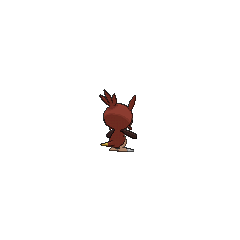 Clemont's Chespin first appeared in Mega-Mega Meowth Madness!, in which he was given to Clemont by Professor Sycamore. 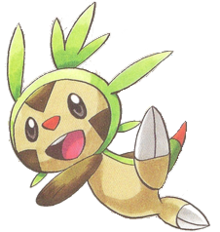 A Chespin named Chespie appeared in Mega Evolution Special I under the ownership of a beginner Trainer named Mairin. Chespin made its debut appearance in A Battle of Aerial Mobility! under the ownership of Professor Sycamore. 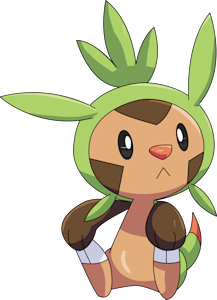 Two Chespin appeared in Till We Compete Again!, where one was a Starter Pokémon that was offered as a choice for a Youngster to choose from and one was on a video screen in the Lumiose City airport. Harimaron is a combination of ? harinezumi (hedgehog), ? hari (needle), and marron (French for chestnut).